Terry, Fred (1863-1933): He and his wife had a touring company based in Portsmouth. Five of their children became actors, two went into management. Fred, the youngest son, married Julia Neilson in 1892. They appeared together in Shall We Forgive Her by Frank Harvey at the Adelphi. In 1900, they took over the Haymarket. 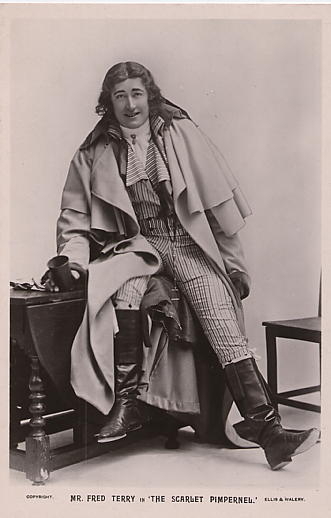 There, in 1905, Fred appeared in The Scarlet Pimpernel.